As the story usually goes…. 20-something, packs job in, sells everything, travels the world, blogs about it from a beach somewhere, discovers life affirmation. I’m a 30-something banker. I live in London, with my husband and two cats. I have great friends. I drink too much and I work too hard. I love to travel (sometimes solo), cycle, and snowboard. I love to scuba dive. Especially in warm places, but I am often stupid enough to dive in the UK. Which for foreign visitors to my blog, is not warm. And I am not leaving my job to travel the world. I left my first marriage around 2007, and although I did have some rather pleasant holidays pre-divorce, I always had a desire to visit Egypt. For some reason, I always wanted to see the pyramids. Far too many hours watching the Discovery channel built a longing in me to see the majestic and ancient wonders…. The first thing on my bucket list, so to speak. I really really really wanted to experience the Pyramids. My ex at the time, preferred not to go to Egypt. We spent a lot of time in Orlando instead. Occasionally the Caribbean. Vegas, twice. But often Orlando. Now, I like Florida. Don’t get me wrong. But not for five years running. My marriage ended. I decided to go to Egypt. I went to Dahab on the Red Sea and became an advanced Padi scuba diver. Then I went to Cairo. And I went inside the Great Pyramid. I had my life-affirmation moment. And in the airport on the way home, I received a text confirming my divorce, and I decided that this would be the beginning of going everywhere I’d ever wanted to go, see or experience. So I’ve dived with hundreds of sharks. I’ve played with dolphins. I’ve seen lions in the Serengeti on Christmas day. I’ve snorkelled with Humpback Whales and trekked the Sumatran rainforest. And I have a thousand things on the “still-to-do” list. Life’s too short to go to Florida five years running. If it ain’t, it orta! as my late father used to say. There is a Nobel Prize for Blogging now, so it should. Oh wow that looks gorgeous! I’ll be in Sumatra in September, but unfortunately in Banda Aceh, but I’ll look you guys up next time! How’s the diving out there? No worries… if you change you plans, let us know. There is no finer place to enjoy a cold beer at sunset than our terrace.. (he says without a modicum of modesty :-). Sabang and the other islands north of BA are the place to go for great diving… our area for surfing and the mountain lakes. This gives me inspiration. I’m going through a divorce. Maybe it’s time I traveled and did some interesting things. Wilma – do what makes you happy. And if it doesn’t, do something else! Whatever you do, you’ll learn from it, good or bad! Good luck! I love your story! Good on ya for getting out there – there is so much more to the world that Orlando! Sounds like you are having a blast! Keep it up. Wahoo go you! I will get to travel someday soon – there are so many places I want to see, and you have added to that list with your great blog!! Moose – my advice would be – don’t put it off. Just do it. Even if it’s just for a week or so… Write a list and tick it off! Good luck! Love it! I’m truthfully a lot like your first sarcastic description of the 20-something blogger, although I do have a job in the foreign country, but I think I’m a wise enough 20-something to know to admire you! Really enjoyed your story about Donut, also. Jessica – I kinda envy 20-something bloggers as I can look back and wish I’d done it…. 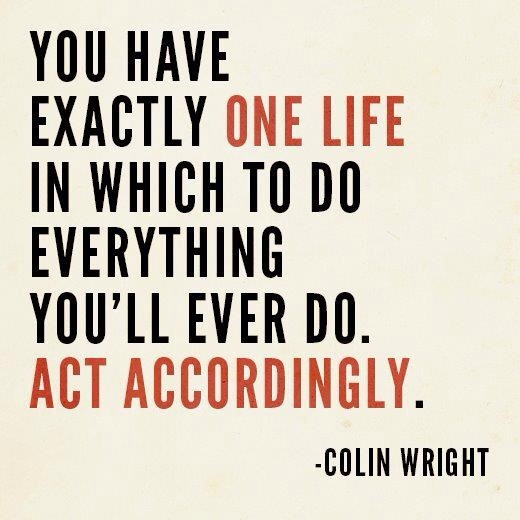 But the main thing is to just do it no matter when! Good on you, hope the job is going well! Thanks for the kind words. This sounds amazing. Good for you for living your dreams. Life is too short for Florida 5 years in a row. Thank you – basically life’s too short, and the world is too big! I love your ‘About Me’ section! My blog is about my bucket list of things I want to do. I am glad you’re living your dream right now! 🙂 I live in Florida, ha ha. Love your blog, especially the quote at the top. Very inspiring! Who says a girl can’t have it all!? That’s always been my motto too. Love your “about page”. Life IS too short. Here’s to checking things off our bucket lists! Girl, Figuring it out. ; ) Actually, Jamie. Thanks Jamie. And anyway – figuring it out is 90% of the fun… to coin a corny phrase, it’s about the journey, not the destination! Awesome approach! There’s absolutely no one right way to go about life and seeing the world—that’s for sure! No. No I haven’t. Damn, there’s another thing I need to stick on my bucket list. Disabled seagulls. Damn you. Diggin’ your style, girlfriend! Love the photogs. Keep it up. Just found you! Awesome! Sharing the same interests. Awesome – following your blog now too! Great blog. I like your style. I’m a Dive Instructor, Photographer, and love to travel. Keep up the good work! And you! Love your photos! I really like your pictures and I feel I can relate a lot with your story – I am about the same age as you are, I love traveling (and writing about it) and like you, I still keep a serious day job. I will come back to your blog so that I don’t forget my most pleasant New Year’s resolution for 2015: to take diving classes. I haven’t been ballsy enough to travel solo yet…but something I would really like to prove to myself I can do (and enjoy) one day! There are plenty of other places I want to visit on my bucket list; Vegas just seemed fitting for a girls’ trip dedicated to toasting my new beginning! The main thing is to do what makes you happy. I learned that! I loved your blog. I totally believe that life is too short so ” start living your dreams rather than living others’ “. Way to go, girl! Your story is very empowering! As a 20-something, my newfeeds tend to be overflowing with the message you talk about with seeing the world and responsibilities coming later….I have so much respect that you can enjoy traveling and still maintain ‘real life’ stuff too- plus run a successful blog! I really enjoyed reading your page and love the theme. It works so well. I’m also glad to see a lady getting out there and doing what she loves 🙂 no age limits. May life manifest many magical memories for you and us all where we share it to enhance positivity as apposed to all the negativity of this cruel and sometimes harsh world. What a great About Me! If you’re in the UK and going to Orlando five times, I’d be Orlando’d out for LIFE! I went with 2nd fiance, then with my whole family in in 2001 and then went again for an Irish Dance competition that we turned into a four generational trip with my kidlets, my mom and my gram. I want to do a RTW trip with whoever wants to go but it’s in the planning stages. Only place that is a must is Thailand as my extra daughter, our exchange student lives there. Been to Florida and Orlando is overrated, the Keys.. that’s another story. I could visit the Keys every Spring Break (late March early April). Glad you got to see the pyramids, too bad it cost you your marriage. That’s independence. Brave and courageous. I like what I see on your site, so far. I’ll poke around a little later… and the photo – fantastic drew me in. I’d love to dive the Keys, actually! I know what you mean – I live in London and totally take it for granted! Egypt is such a fantastic place, I love visiting and diving there, and Cairo was such a cosmopolitan city. I’d love to come back one day. Great looking blog!! I will follow your adventures! Florida is a wonderful place but the Keys, where I live, are the best place in Florida! Come on down for a visit! One day I will most certainly come to Florida to dive the Keys! It looks stunning. Ha ha ha! You had me laughing out loud with your about page so I’m looking forward to… (insert witty statement here … oh crap, I’m out of wit…) reading more! Great intro into what looks like an pretty amazing blog! I’m interested! Yes, I felt empowered! Haha! Thanks! Life is WAY TOO SHORT TO LIVE IN FLORIDA for 9 years. Way too long especially since I never wanted to live here at all. Did you know it gets hot and humid here? I HATE HOT AND HUMID. I only managed Orlando. I’m sure the east of Florida is lovely. I’d love to visit and dive the Keys and I hear the west coast is superb. Hi Girl! I have nominated you for the Liebster Award. Thanks for sharing your adventures! I think I’m saying the same as everyone, but I love “Life’s too short to go to Florida five years running.” I should have a similar line, I don’t. Yet. I’m pretty inspired by your liveaboard story, I’ve just spent about two hours, at work (shhhh), researching it. I live in Dubai, which helps. I don’t want to quite my job, I do want to go on adventures. So getting to the point – my question is, what company did you use. Unless you already mentioned it and I missed that bit. I normally travel with ScubaTravel who are a UK company and are excellent. However, I’ve also travelled with Aggressor Fleet who are US based and also very good. I can also highly recommend Dive Safari Asia, who are Uk based, but do great holidays in Asia (not liveaboards, but you get put in a group so it’s easy to make friends. I went to Indonesia with them as a single traveller, and made some great friends!). Good luck, let me know what you decide on! Wow! Thanks so much for all the info, this is my first foray into solo travelling, so wouldn’t want to start off on the wrong foot 🙂 Will let you know where I end up!